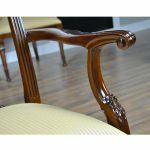 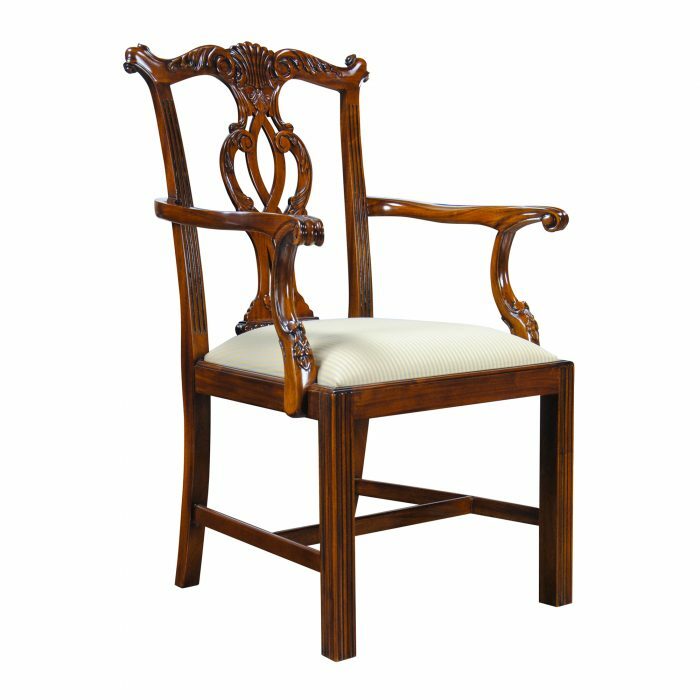 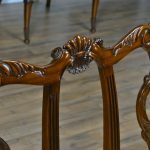 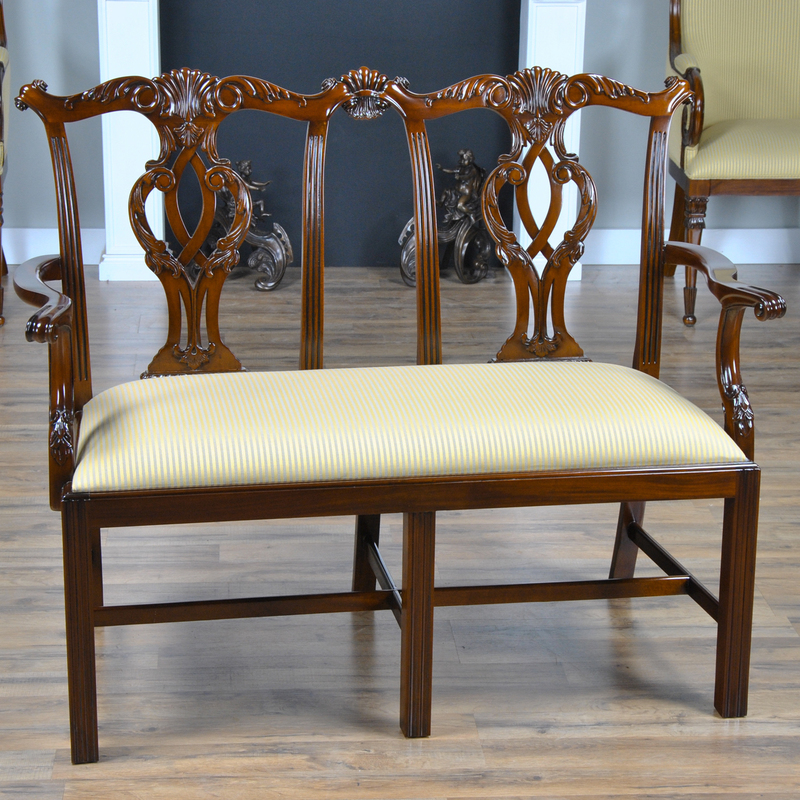 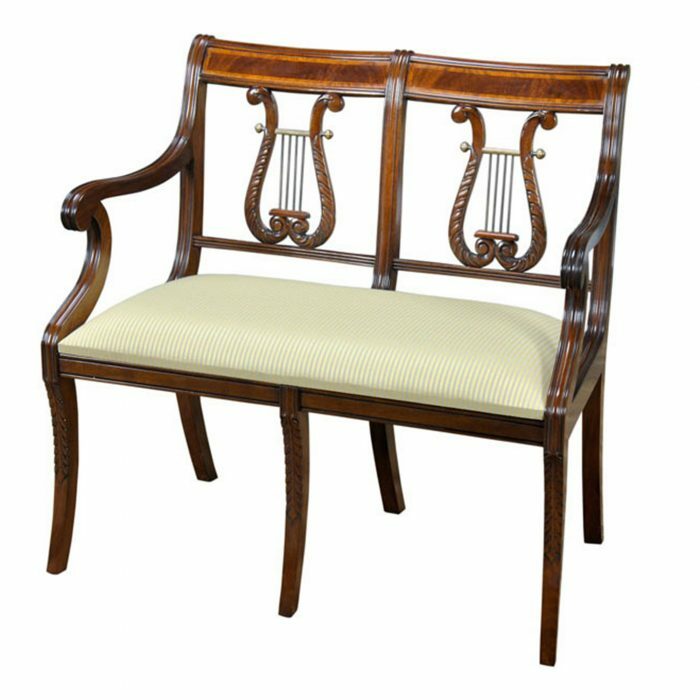 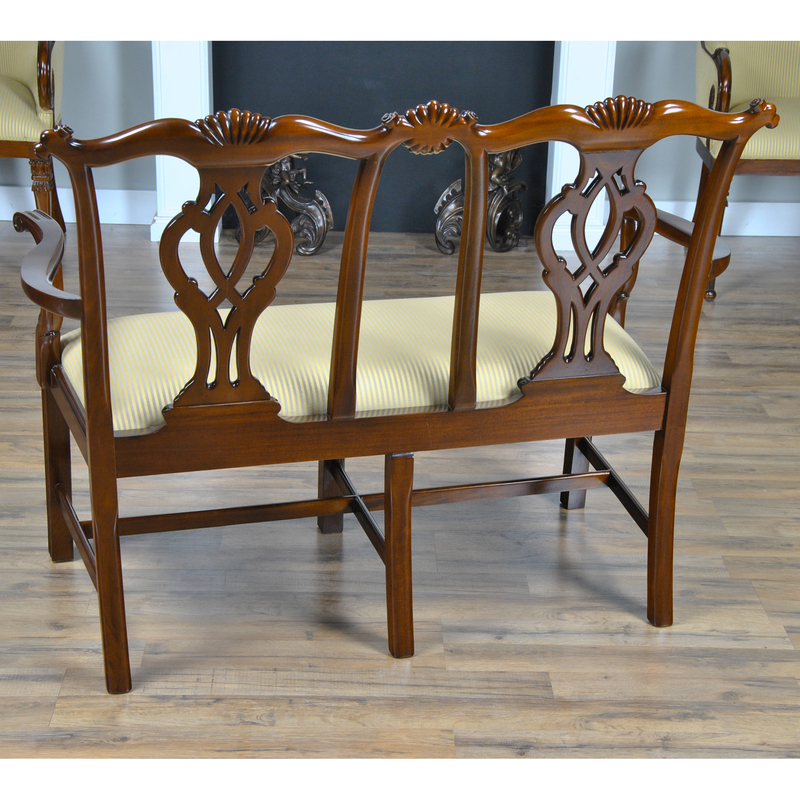 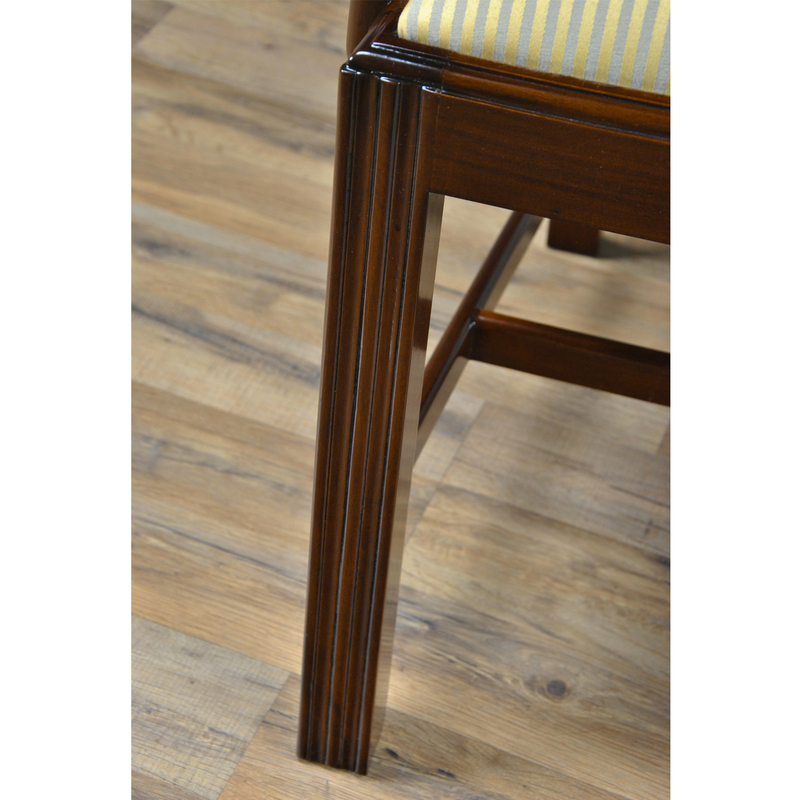 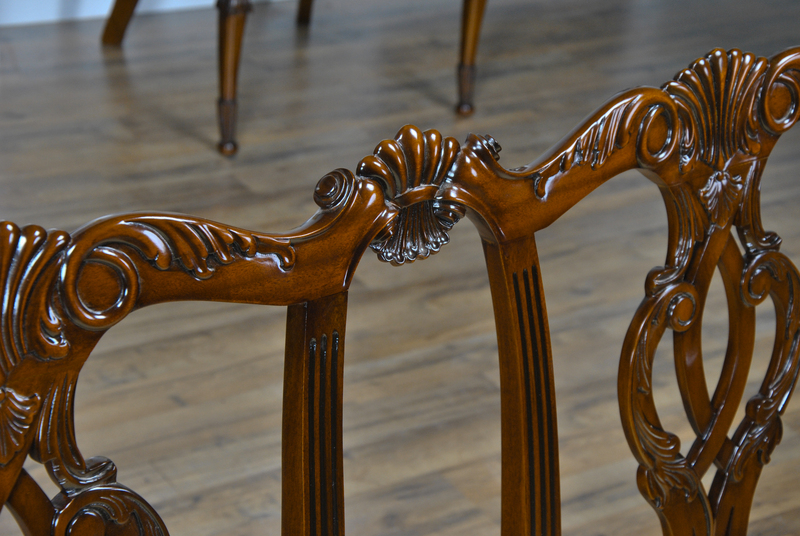 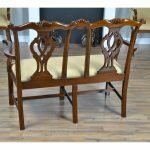 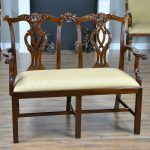 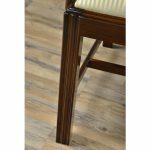 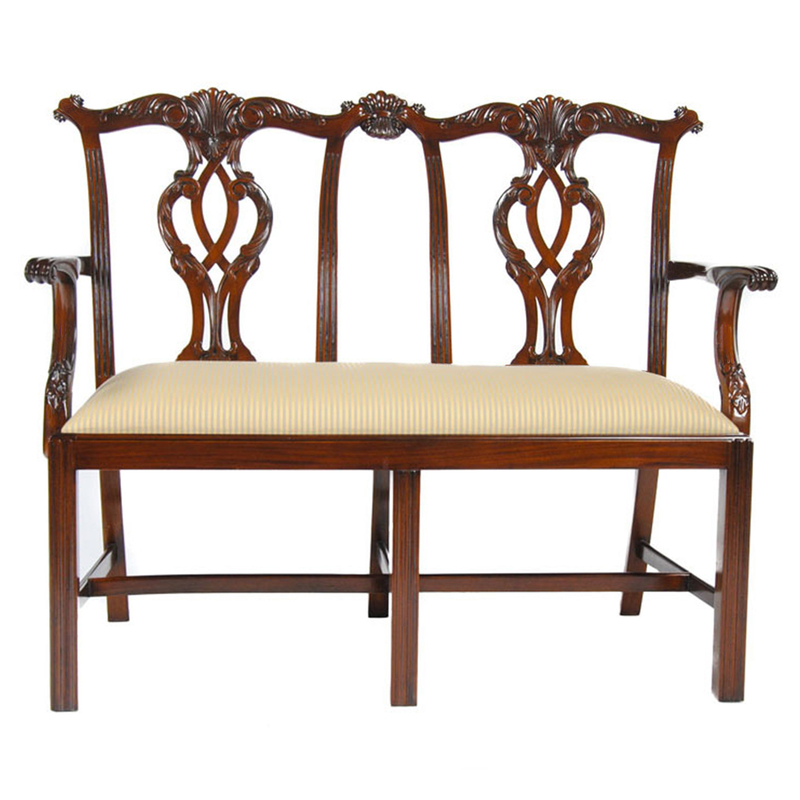 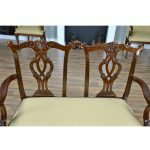 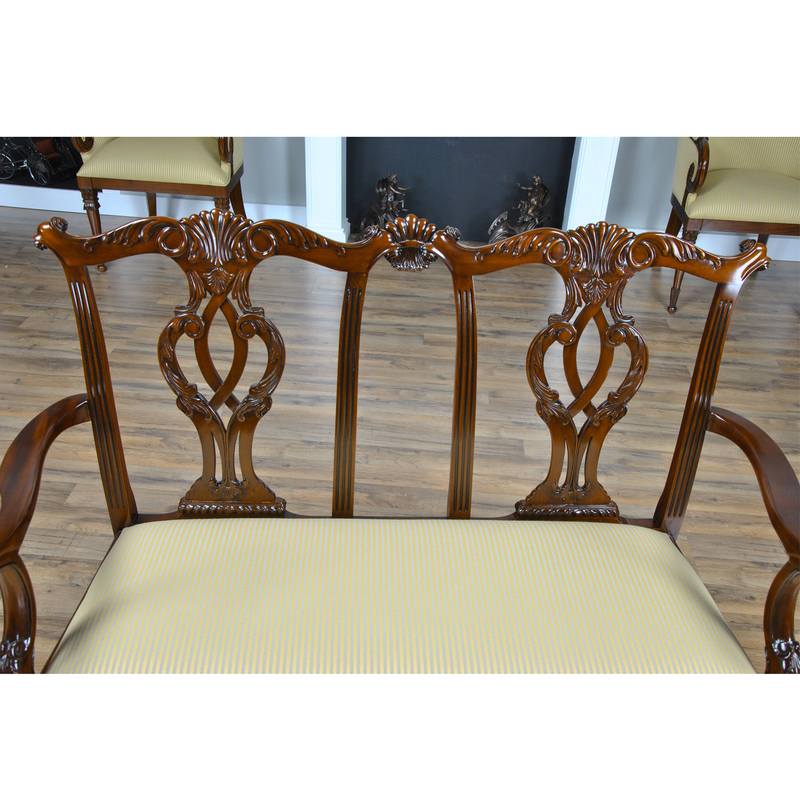 The Cambridge Two Seat Chair from Niagara Furniture is crafted from solid, kiln dried, plantation grown mahogany, hand carved in the Chippendale Style. 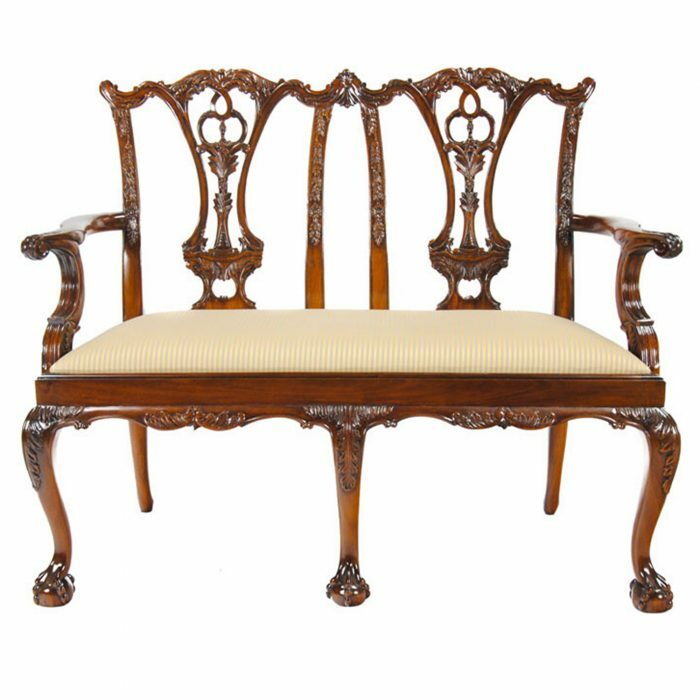 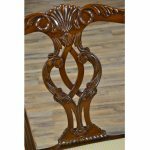 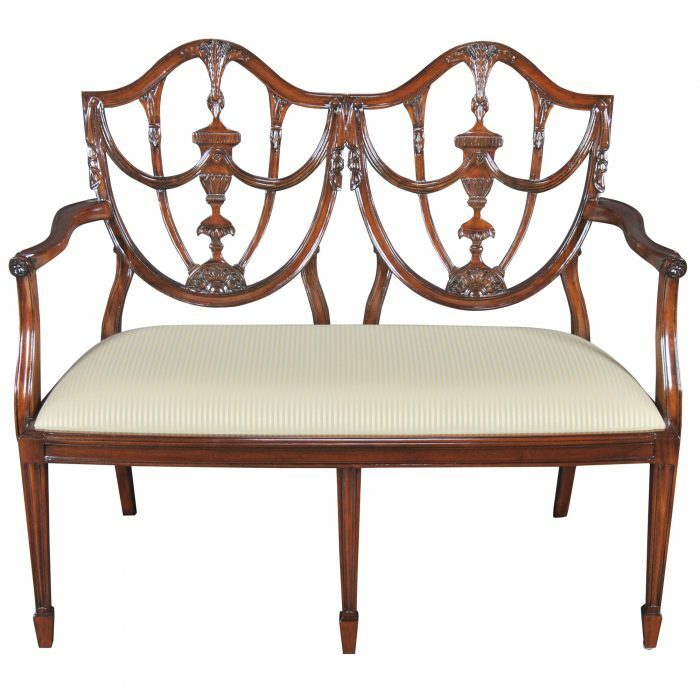 This classic styled love seat features a serpentine crest rail and a carved and pierced back splat. 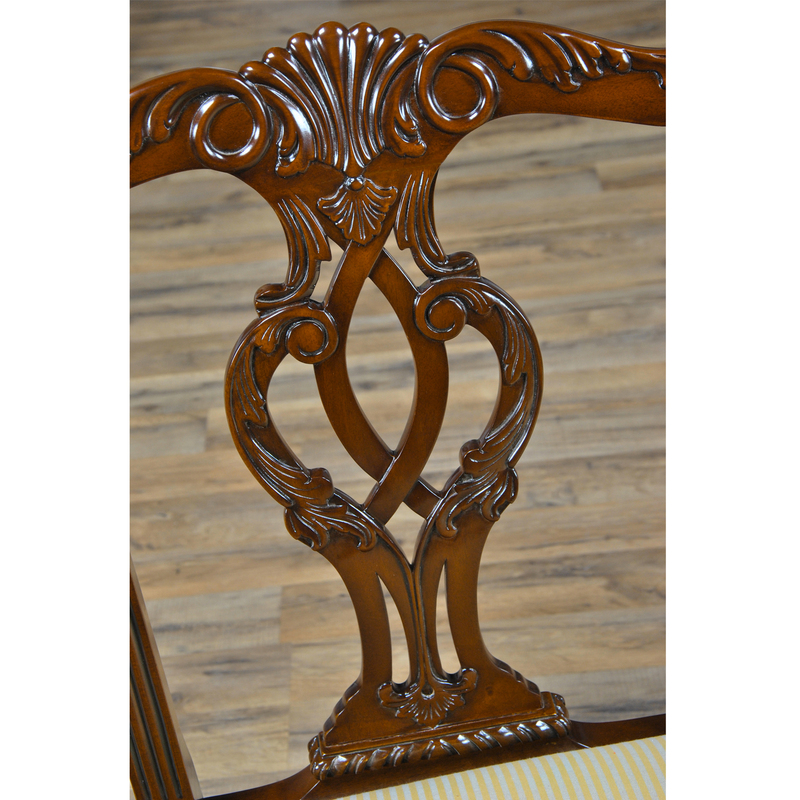 Scrolled arms at a height of 28.5 inches and a drop in seat at a height of approximately 21 inches comprise additional highlights of this fine piece. 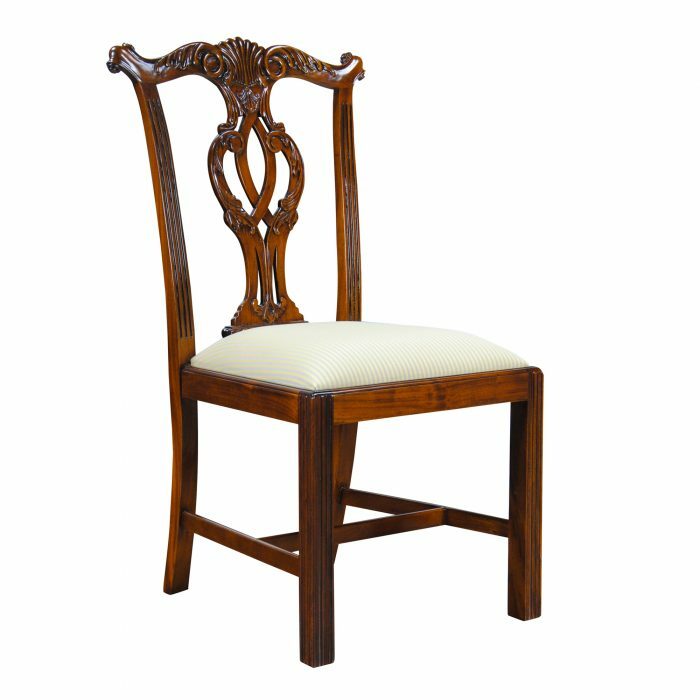 The Cambridge Two Seat Chair seat is easily removable so the fabric can be changed and customized at any time. 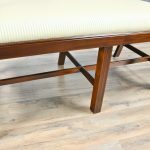 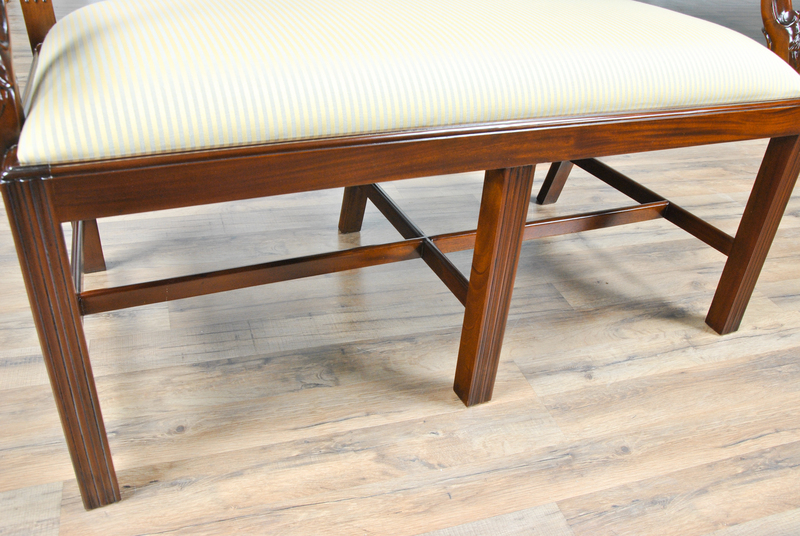 The bench rests on square, reeded front legs and tapered back legs suitable for almost any style of room.